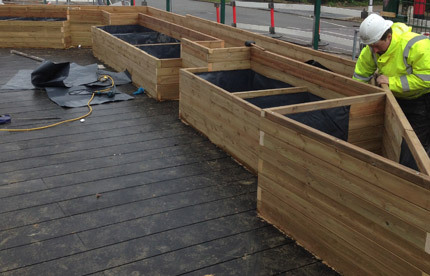 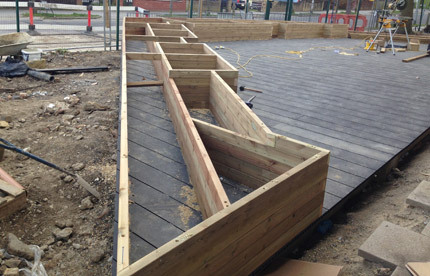 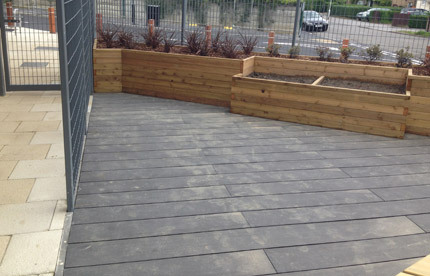 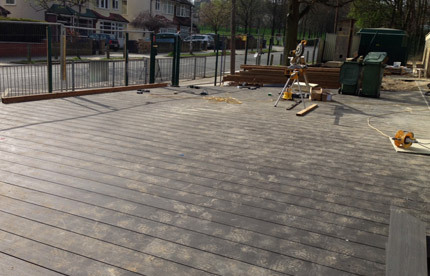 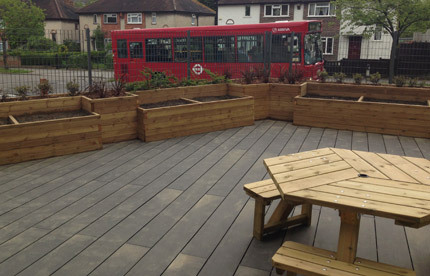 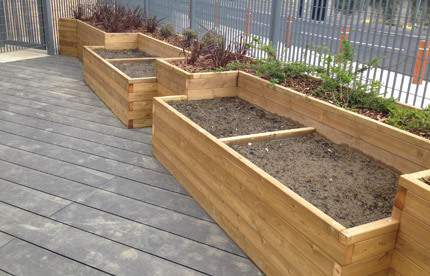 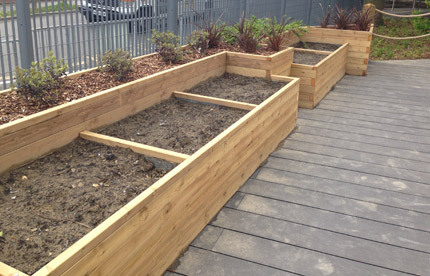 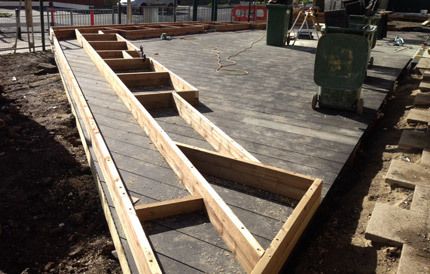 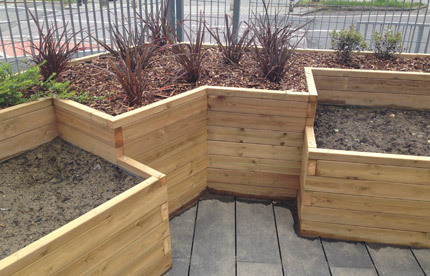 Taylor Made Planters provided a custom project for Priory School in Croydon. 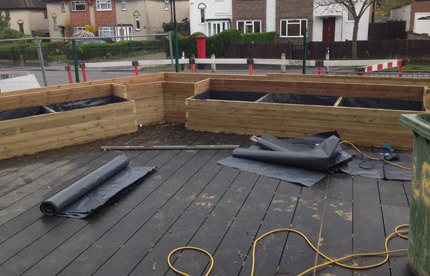 We built a large wooden planter with an individual vegetable planter for each class to allow the children to get hands on with growing fruit and vegetables. 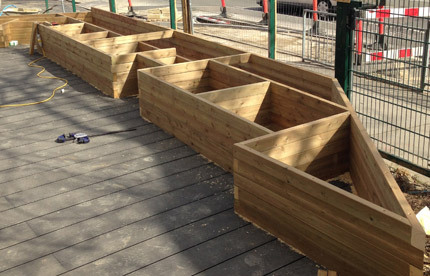 Our team always go the extra mile when it comes to special projects like this, not only to ensure that the final product looks great but also to make them practical for the younger generation using them. 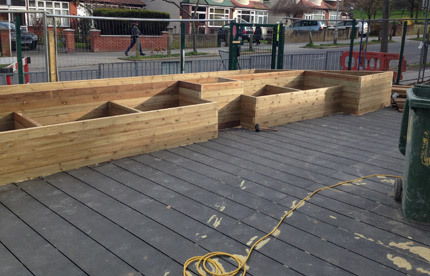 We also constructed a 48 meter school planter for this project with the purpose to create a barrier between the classrooms and the playground.